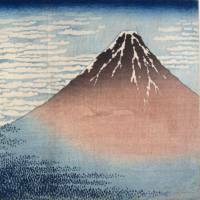 Katsushika Hokusai (1760-1849) was accomplished in painting and drawing, but is best known for his use of dramatic compositions and vivid colors in ukiyo-e prints. His work not only influenced European Art Nouveau, but also inspired many later impressionists. Utagawa Hiroshige (1797-1858), who specialized in yakusha-e (portraits of kabuki actors) and bijin-ga (portraits of beautiful women) early in his career, also became highly acclaimed for landscapes, renowned in particular for his lively depictions of Edo Period (1603-1868) scenery and people. 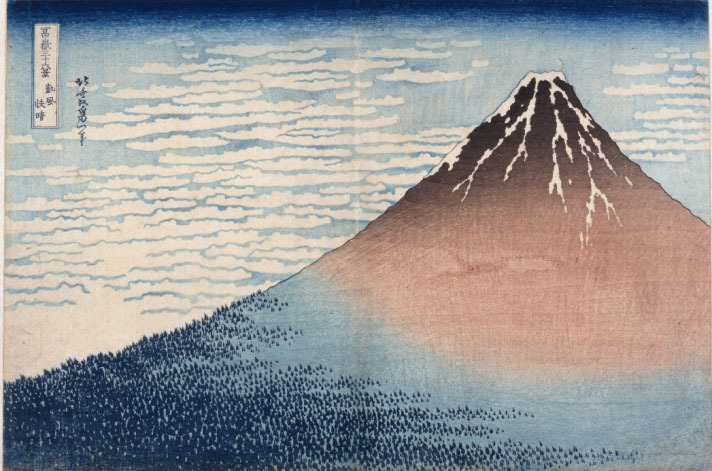 For this exhibition of two of Japan’s most iconic artists, all 46 works of the printer Nishimura Eijudo’s edition of Hokusai’s “Thirty-Six Views of Mount Fuji,” and all 55 of a Takeuchi Magohachi edition of Hiroshige’s “Fifty-Three Stations of the Tokaido” will be on display.